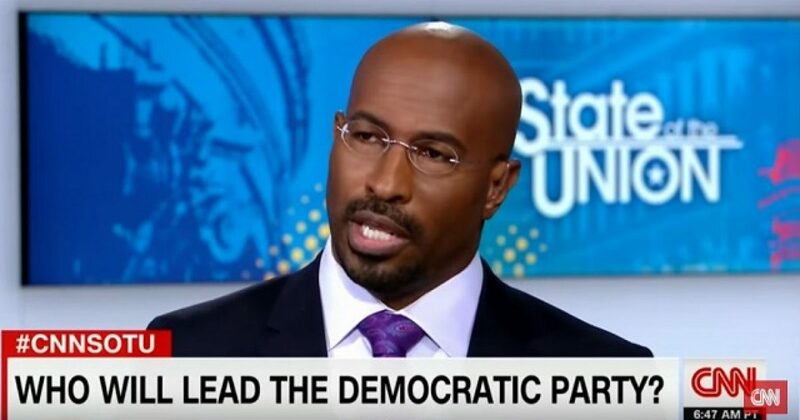 Van Jones proclaimed, the Clinton days are over. And he makes a great point. However, as with all things Left, Jones’ reasoning is flawed. When Hillary Clinton had a chance to make a VP pick, she didn’t pick someone from the progressive wing, which made it much harder to heal those wounds with the Sanders’ and Elizabeth Warren wing. Americans have no problem electing the first woman president, if she’s qualified. But when she brings along her cuckold VP, they struggle a bit. Can you imagine Tim Kaine as president? I certainly hope not. Watching that chick Kaine reminded me of the old TV show Hazel. Next, Van Jones remarks that Keith Ellison represents that wing very, very well. Jones seems to believe that Keith Ellison would have been a better VP pick than Kaine. An ethno-centric racist hates Jews would have been a better pick than Kaine! And the Democrats say the Republicans have problems. You also, I think, have to remember that Sanders and Elizabeth Warren are going to be there on the Senate floor every day. That’s going to be an important part. You have to understand, I think, that the — the Clinton days are over. This idea that were going to be this moderate party that’s going to move in this direction, that’s going to throw blacks under the bus for criminal justice reform and — or for — for prison expansion, that’s going to throw workers under the bus for NAFTA, those days are over. You can’t run and hide. You’ve got to be an authentic person from the beginning. You’re going to be judged based on your authentic commitment to the actual base of this party. And if you don’t do that, you can’t win. Again, Jones declares that Clinton wasn’t progressive enough, and should have picked Sanders or Warren. After all, Clinton (by way of her husband) put black men in prisons. Next, she abandoned workers (by way of her husband) with NAFTA. Now I’m not one to protect Clinton, because she’s a liar, pure and simple. Moreover, Clinton would have joined the occult to get elected. Nevertheless, if Jones believes that these were the issues that drove Democrats not to support crooked Hillary, he didn’t get the lesson of this election. America needed to be “righted” in every sense of the word. That’s why the Clinton Era is over. But so goes the Progressive Era with it. It should be noted that Van Jones could have easily said these things about Obama, but he didn’t. Obama didn’t significantly address prison expansion. He made token gestures at best. Further, Obama’s trade policies showed no imagination, and were merely status quo of Bill (and Hillary) Clinton’s. Not only is the Clinton Era over, the Obama Era is equally over. Jones fears telling the truth about that.